Beginning tonight, two of the top cocktail destinations in Los Angeles are joining the many bars and restaurants that are hosting fundraisers to benefit the ongoing Haiti earthquake relief efforts. In addition to The Doheny and The Edison events, be sure to check the links below for other venues, as well as a Mashable guide to online and text message donations. No matter how you make your donation, please give what you can, now and in the weeks and months to come. 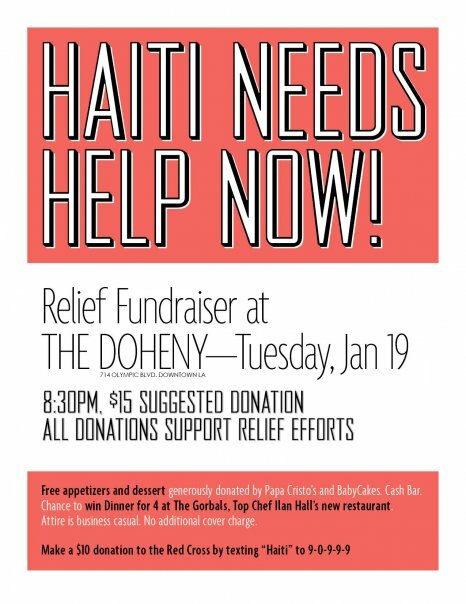 The Doheny – Haiti Needs Help Now! The members-only Doheny opens its doors tonight, with all proceeds going to support Haiti relief efforts. To go with your libations, free appetizers and dessert are being donated by Papa Cristo’s and BabyCakes. You’ll also have a chance to win dinner for four at The Gorbals. In addition to its usual calendar of cocktail events (see below), the Edison is asking for donations at the door from Wednesday through Saturday. A special Silent Auction takes place on Friday, and an eBay Auction will open on Monday, Jan. 25. All proceeds benefit the Doctors Without Borders Haiti Relief Fund. For a guide to online and text message donations, be sure to check out Mashable’s Haiti Earthquake Relief: 9 Ways to Help Now. Wednesday – Celebrate the 100th Anniversary of the Higgins Building with The Centennial Cocktail ($1). 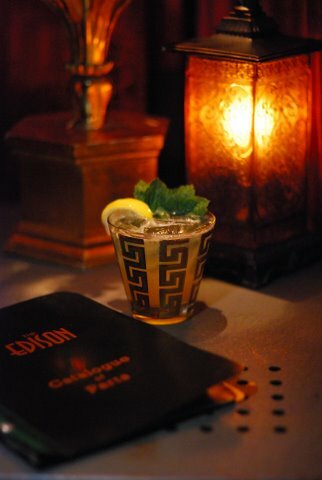 Thursday – Each week, enjoy a different “Vintage” Cocktail at the “Vintage Price” of 35 cents. Friday – Featuring The Fireside, an Old Fashioned made with Woodford Reserve ($1). Note: limit one Featured Cocktail per person/per night.